The latest range from leading manufacturer Lumia is the Helmsley suite. This 54inch wide suite features a gently arching headed and classical roman style detailing on the legs, while offering a very clean overall appearance means that this suite would not look out of place in either a contemporary or traditional setting. Available as either a gas or electric suite allowing almost anyone to enjoy the Helmsley suite in their own home. 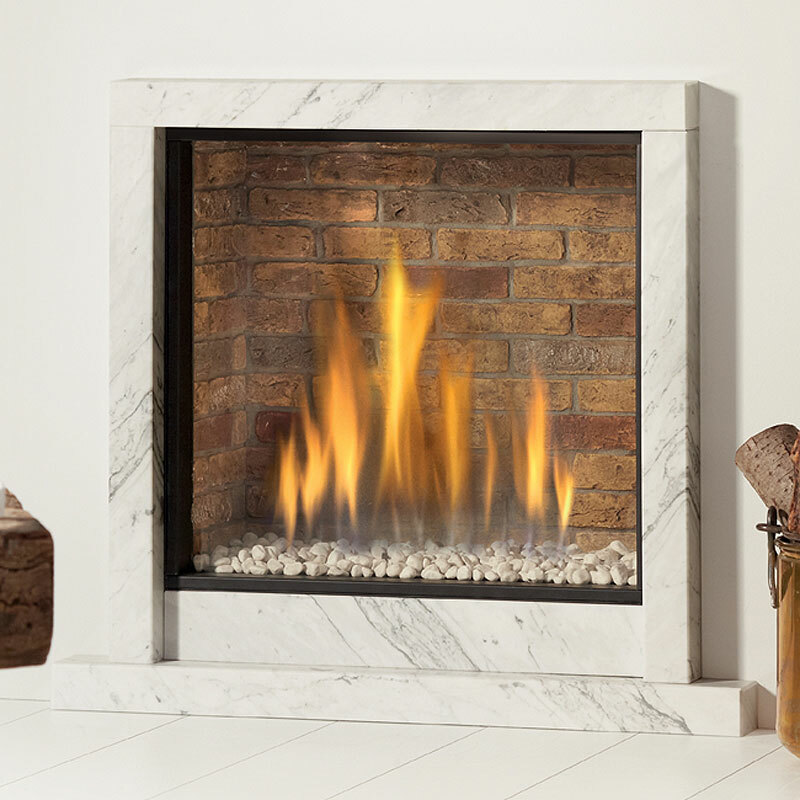 The electric version features a 2kW fan heater as well as ultra low energy LEDs to control the flame effect meaning you can relax and enjoy the realistic flame effect without having to worry about how much it's running up your meter reading! The gas version offers a maximum heat output of 3.8kW with the choice of traditional coal or contemporary pebble. Both the gas and electric suites have the option of a brass or a silver trim and fret to match existing fittings in your living space. Both of these models feature a flush boxed profiled hearth with clean lines adds to the feel and flexibility of being put in either a contemporary or a traditional setting. It can be a nightmare ordering cast iron inserts and surrounds and trying to establish which surrounds are compatible with which casts and whether the opening size is wide enough to showcase all of the cast detailing. It can confuse even the most knowledgeable retailers (I know i've managed to confuse a few with asking what would fit with what while researching this article! ), but Lumia has released a range of suites that take all the hassle away. Based around the incredibly popular Lytton and Jubilee highlighted cast iron inserts the Lumia range of cast iron inserts showcases a variety of materials from Limestone to Black Granite and from contemporary to more traditional designs. 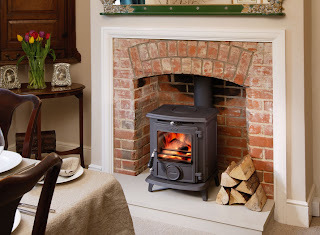 All are available with either the Lytton or Jubilee cast iron inserts, both in a traditional highlighted finish, with a natural gas fire for class 1 chimneys or flues and are made from solid cast iron with cast back and fixed damper to give that truly authentic feel. While not offering much in terms of heat output, they certainly look and feel the part with living flames and a ceramic coal bed that glows almost like the real thing. The first of the range is the Lumia Bingen (above left), probably the most contemporary of the four, featuring a natural oak effect finish fireplace surround with a 54inch shelf width. This suite combines with the natural warmth of oak with the cold of polished cast iron when off, but when lit the cold highlighted areas reflect the warm glow of the fire and transform the cold iron into a warm focal point for your living room. 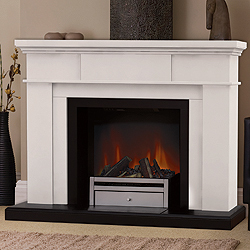 The second in the range is the Lumia Galileo (right) features the same choice of insert,either the Lytton or Jubilee inserts, but combines it with a stunning Corbel Black Granite Fireplace Surround. The Lumiaa Galileo offers a very period feel fireplace package with strong vertical definition on the black granite fireplace surrounding the black cast iron, contrasting with the highlighted cast iron insert and making truly drawing focus to the roaring gas fire in the centre. The third in the range is the Lumia Muxloe Fireplace Package, (left) and much like Lumia Bingen would be ideally suited for both tradition or contemporary decor with a neo-classically styled limestone fireplace surround with stong lines that help the frame the cast iron insert perfectly. The natural stone colouring of the limestone helps to take the harsh edge off the black cast iron and softens the stark contrast between polished and matt black. The final suite of the range is the Lumia Thurso Gas Fireplace Suite, This is probably the most classical of the range, featuring a solid Perla micro-marble fireplace surround. 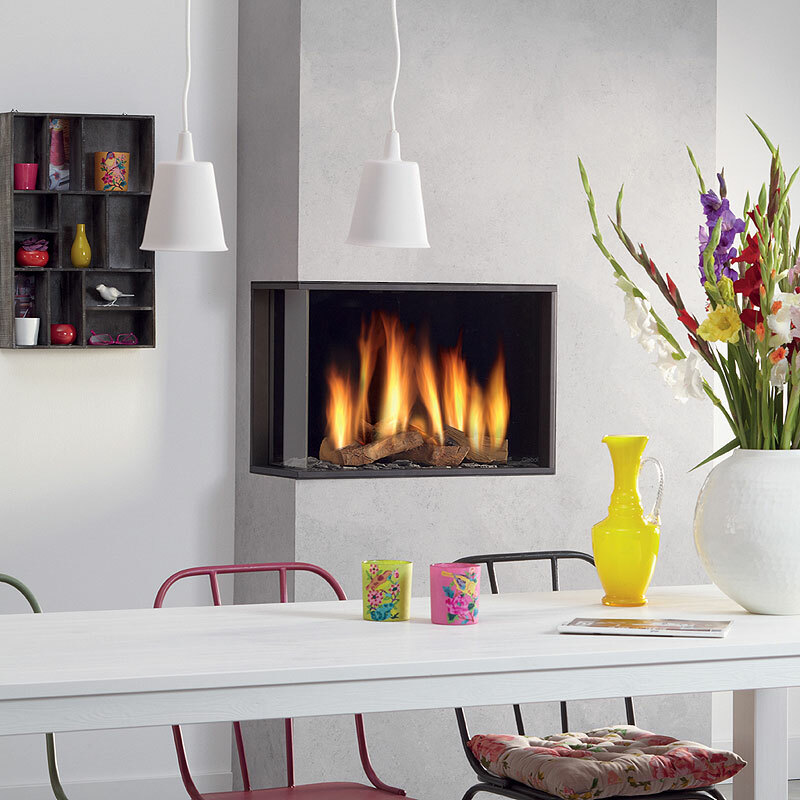 Overall these fires offer a great selection of gas fires, suitable for practially any living space. Robinson Willey have embraced the current trend in electric suites and now can boast an impressive and popular collection of modern and traditionally styled suites. The reason for the growth in popularity of electric fireplace suites is the ease for which they are installed and maintained as well of the focal piece and feature they create in a room. Many people see the fireplace as an essential and central part of a living or dining room. 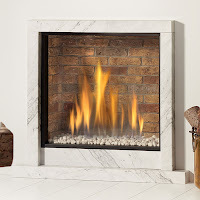 Electric fireplace suites allow a fireplace feature to be created quickly and can be secured once situated for long term use by fixing to the flat wall they are positioned against. Electric suites therefore are great in any home, including flats or apartments and homes/living spaces without chimneys where occupants never thought a fireplace would be possible. Although we wouldn't recommend it as you should check with the specific manufacturer before doing so we have heard of electric suites being used in caravans, motor homes and barge boats! Robinson Willey have looked at the popularity of the electric suite market and aimed their sites at making affordable, stylish and innovative suites. They include kettle connections and the use of LED lights to help conceal the electrical lead upon installation and ensure longevity of the fires stylish flame effect. The new collection of Robinson Willey suites includes the fireplace surround, back panel, hearth and modern electric fire. There are a wide range of wood effect veneer finishes are available for the surrounds that feature either a crisp clean modern finish or more detailed traditional finish. So they have catered for the modernist of traditionalists amongst us so there is truly something for every taste. 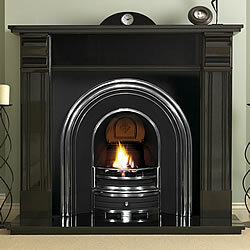 So even if you rent your property you can have a stylish fireplace feature that can move with you should you relocate. All in all a great collection of suites that are well worth considering should you be in the market for some electric heating in your home. 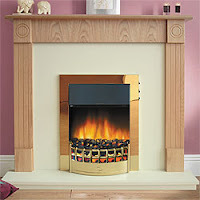 Are you looking for that stunning open fireplace look but struggling as you do not have a chimney? 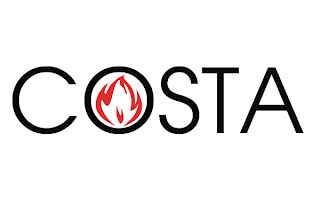 Costa Fires have just the solution, the Costa Hoyland Electric suite combines a stunning electric basket and white mantel to create a stunning electric suite that more than compares to the standard orange glow of most electric baskets on the market. The Hoyland even boasts LED technology, allowing the fire to be run on flame effect only for mere pence per year, with no bulbs to replace. Available exclusively from showrooms such as Fireplace Megastore in Deeside, the Costa Fires Hoyland features bold straight lines to create a truly classic feel, combined with cast effect electric basket and black granite effect hearth, this electric suite stands out from the crowd with a realistic log fuel bed and comes fully assembled for easy installation, simply place in the perfect spot and plug in! What could be simpler? As the country prepares for Christmas, home maintenance and carbon monoxide (CO) awareness can be topics easily forgotten amid the hustle and bustle of the festive season. But this Boxing Day, millions of viewers will be reminded of the tragedy the silent killer can cause as popular Coronation Street character, Fiz Brown, suffers from CO poisoning. Single mother and factory worker Fiz, played by Jennie McAlpine, will succumb to CO after she gets her friend Tyrone to fix her boiler so she can save money. Tyrone is a car mechanic who is not qualified to mend a boiler and his attempt leads to devastating consequences. The story will highlight to the soap’s eight million viewers how illegal and unqualified gas work is dangerous and can lead to CO poisoning. The Gas Safe Register has been working with ITV to ensure that the dangers of gas, in particular the symptoms of CO poisoning, are portrayed properly to the public. Awareness group CO Angels is also eager to raise the profile of the dangers of CO poisoning, reinforcing the importance of maintaining appliances and fitting a CO alarm. To help people stay safe this Christmas, and all year round, the Heating & Hotwater Industry Council (HHIC) has drawn up a list of five top tips for homeowners. 5. Be aware of the symptoms of CO poisoning. Remember the six main symptoms to look out for according to Gas Safe Register: headaches, dizziness, nausea, breathlessness, collapse and loss of consciousness. “The attention given to this important issue by Coronation Street producers will be very powerful and it reinforces the messages that our industry is keen to get the public to hear,” said Roger Webb, HHIC director. For more information visit the Gas Safe Charity website. Early home dwellers usually lived in structures with central fireplaces but without chimneys, allowing the smoke to find its own way out, just as nomadic Tibetans, living in tents called yurts, continue to do so to this day. The main difference is that while the smoke from early dwellers fires drifted through incidental holes in the structure, the smoke from a yurt rises because it is heated. It passes to the top of the tent from where it is withdrawn partly by convection and partly by the Venturi effect. In that sense, the yurt acts as its own chimney, which means that these well-smoked people effectively spend their indoor lives living in a flue! Earlier chimneys, found in single storey wooden-built structures, were centrally sited pretty much as a way of extending the hole in the roof down to fire-level. But when double-storey wooden buildings came to prominence, fireplaces and thus chimneys began to be situated on an outside wall. In central Europe, tubular chimneys built of masonry were used as early as the 11th century. The technology spread like, well, wildfire and as rapidly as 100 years later, chimneys were commonly found in most secular buildings. Jonathon Greenall, the man behind Clearview Stoves, says, "You can run a bad stove on a good chimney but not a good stove on a bad chimney. That's how important it is that a chimney works properly. First, you need to know what makes a chimney do its job. In other words, why does the smoke go up the chimney rather than drift out into the room?" The upward movement of air and smoke in a chimney is known as the draft and we talk about how well a chimney draws. Draft takes place because of the physical fact that hot gases are less dense than cold gases. Heated gases in a chimney are lighter than the air in the atmosphere and are, therefore, drawn up into it. All other things being equal, a taller chimney produces more draft because of the simple fact that there tends to be more of this hotter, lighter gas in it, which creates more updraft. All other things are rarely equal, though. The increased draft inherent to a taller chimney tends to be offset by the greater friction found in the chimney and by the tendency of the gases to lose their heat as they rise. A very dirty, roughly-lined, tall chimney, subject to poor insulation and possible air leaks could well be less efficient than a well designed shorter chimney. Another fact of physics has an effect - albeit a lesser effect - on chimney performance. As air is blown over the end of a tube, a drop in pressure is created at the end of the tube. This principle was first discovered by an Italian, GB Venturi, almost 200 years ago and is the principle by which most carburettors inject petrol into the air stream. Wind blowing over a chimney has a similar effect, adding to draft. Wind eddying down the chimney has the opposite effect, of course. It's not often you'll see this recommendation in print but it is a good idea for you to sit down and have a good read of a government document with the not-so-catchy title of The Building Regulations Approved Document J and the UK Implementation of European Standards for Chimneys and Flues. It's a surprisingly clear and interesting read and is about 70 pages in length (so there's obviously not room for it here), with lots of drawings and useful ideas, as well as sensible and practical safety-related legislation. It's essential reading if you are thinking of building or installing a chimney, fireplace or stove. It is available for downloading from the Planning Portal (planningportal.gov.uk). Alternatively, hard copies of the document can be obtained from The Stationary Office, London 123 Kingsway, London WC2B 6PQ. Tel: 0870 600 5522. Or you can order online from The Stationary Office at tso.co.uk. Brick has often been used, even in stone buildings because, having already been fired, it is much better able to withstand intense heat. The standard domestic chimney for a coal fire became 9" x 9", or one brick square, now rationalised so that the chimney in a new house has to be at least 225mm in diameter or the same, good old 9"! An unlined brick flue is a shoddy piece of work. A lined but uninsulated flue is not all that much better. A smooth, insulated flue made from corrosion-resistant materials is essential if a chimney is to work efficiently and to last. An efficient flue will cause less smoke blow-back with an open fire but can't transform an inherently inefficient device. A stove far more efficient will produce much better results from an efficient flue. Someone wanting to add a chimney where one was not built into the original structure could have a traditional structure built on the inside (this could be complex) or outside of a suitable wall or could add a stainless steel, insulated, purpose-made external flue. The type of flue you install (or already have) will dictate the type of fire you can fit, so it is important for self-builders to choose their fire first and match the flue to this. Alternatively, simply install a Class 1 flue which will be able to handle almost any type of fire. 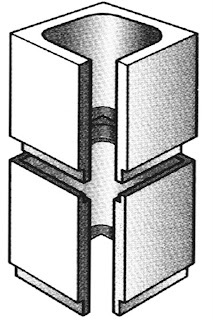 Class 1 Flue: A brick, clay, precast pumice, or occasionally metal flue of a minimum internal diameter of 178mm (7"). This type of flue will usually accommodate any type of open solid fuel fire or an open-flued gas fire. Class 2 Flue: A clay, precast concrete, pumice or metal flue designed for certain types of gas fire or solid fuel stove. Due to the narrower depth and smaller cross-sectional area of the flue, not all fires can be installed in this type of flue. Balanced Flues: A balanced flue exits from the back of a gas fire and obtains its air for burning from the outside and in turn expels the products of combustion through the same flue. Powerflues look similar in appearance to balanced flues but take their air for burning from the room in which they are installed. Electrically powered, they can be located away from an external wall. Both options are a good choice where there is no useable chimney. The best way to install a new flue in, say, a chapel conversion is to build a central fireplace and a flue right through the centre of the house, bearing in mind the Building Regs. with regard to surrounding flammable materials. The flue stays warmer, heat is more efficiently used throughout house and the top of the flue is nearer to the ridge. Keep a stand-alone flue as straight as possible. Every bend adds friction and sharp bends are worst of all. Even an insulated stand-alone flue may smoke horribly in the middle of winter if on the outside of a building. If you're building a new house with an open fireplace, don't fit a concrete lintel too far back in the flue opening because this makes it impossible to fit an insulated flue liner later. Also, beware a builder who wants to fit a square liner. It will touch chimney bricks all round and cannot be properly insulated. Slow-moving gas, like water in a meandering stream, will deposit solids on the insides of the chimney. If you see smoke rolling picturesquely out of the top of your chimney, it's too slow! A warmed flue liner improves momentum. Most manufacturers recommend cleaning at least every 12 months for occasional usage, if the stove or fire is used more often then it’s better to have it swept more often. Poor combustion can involve 50 times more smoke going up the chimney and unburned creosote and soot will stick to the sides of the chimney. For an open fireplace to function properly and for the chimney to draw, the ratio between the chimney and fireplace needs to be exactly right. Flues above 6m tall should generally be not less than 1/7th to 1/8th of the area of the fireplace opening, e.g. a 225 mm (9") diameter flue will support a fireplace opening up to about 550 x 550 mm (22" x 22") (see Building Regulations J 2.2.) For bungalows, the ratio should be reduced to 1/6th. A major advantage of precast fire chest and chimney flue systems is that the ratios have been carefully worked out and so are guaranteed to function properly. If you are building a new chimney, take note at what works for the surrounding properties. They will already have been built or adapted for the local environment. The main cause of smoke coming into the room from an existing chimney that once worked is a blocked flue. The solution is to get the chimney swept. Insufficient air coming into the room can also cause blow-back. Bear in mind that, traditionally, houses had lots of draughts while today they are often too airtight for an open fire. If you dont give the fire sufficient oxygen, it will find its own, pulling great gulps of air down the chimney and belching smoke out into the room. If necessary, add a vent to an outside wall adjacent to your stove or fireplace. When fitting a liner, joints should have their male spigots facing down. The idea is not to make sure all the smoke goes up it will if joints are properly sealed but that water running down gets right to the bottom where it will be boiled away again. Chimneys were traditionally lined with parging, a render mix used to prevent gases escaping through mortar joints and cracks. Parging was usually roughly carried out and is often simply the same mix as the brick mortar. However, as recently as 50 years ago, a recommended mix consisted of lime, sand and ox hair or cow dung! NB: The diagram below dissects a traditional open fireplace, but there are several other types, including ‘all-in-ones’, those with hob grates and register grates, and ‘hole-in-the-wall’ designs. 1. Brick Arch/Lintel: The masonry above the RECESS is supported by an arch or lintel. Older examples are often of oak, whilst modern lintels are usually made of cast concrete. 2. Mantelshelf: The top shelf or ‘cill’ of the fire surround. May be plain edged or moulded. 3. Header: Also called a lintel, it carries the MANTELSHELF. May be an architrave moulding to match the JAMBS or a plain or decorative panel. 4. Jamb: Supports the HEADER and MANTEL SHELF to form the fire surround. May be of columns, pilasters or mouldings. 5. Hearth: A base that isolates a heat-producing appliance from people and combustible items. The hearth’s thickness is dependant upon the appliance. For an open fire with a DOG GRATE, you can obtain the substantial thickness of material necessary by providing a constructional hearth, topped with a decorative hearth. 6. Flue: A passage within the CHIMNEY BREAST that carries the smoke and fumes produced by the fire from the RECESS to outside air. Old flues were often lined with lime mortar or nothing at all, but all new chimneys have to be built with a flue lining to protect the masonry and improve the flow of fumes. It is usually constructed of stainless steel. 7. Chimney Breast: The masonry section of the interior wall that projects into the room and encases the FLUE – of which it may contain more than one – along with the RECESS. 8. Gather Hood: Installed at the base of the FLUE to provide a smooth transition of the fumes and smoke between the RECESS and FLUE. Modern hoods are of stainless steel. 9. Recess: A structural opening also called a builder’s opening — it is recessed in a wall or CHIMNEY BREAST, and has a hearth at its base. Made of masonry or stone, inserts are usually added for protection. 10. Dog Grate: Also known as a fire basket; a freestanding device on legs that holds coal or logs over the HEARTH; may be of cast iron, steel or brass. Many modern versions are gas fuelled but with coal- or log-effect fires. 1. Open Fireplaces: An open fireplace is an open recess in the wall at the base of the chimney where a fire of your choice can be positioned, along with your choice of surround. Inglenooks are classed as open fireplaces. 2. Hole-in-the-Wall: These strip the fireplace of all fuss — there is no surround or mantel, just an opening set into the wall with a firebasket to hold fuel or a gas-fuelled firebed of pebbles, logs or ceramic shapes. 3. All-in-Ones: This term relates to any style of fireplace which incorporates all the elements in its design, including firebasket, fireback and mantel. They do not usually include hearths. 4. Hob Grates: By the early 19th century most Georgian and Victorian coal-burning fireplaces had a cast-iron hob on either side of the grate with iron. These hobs were originally used for cooking. 5. Register Grates: Common from the 1850s, register grates are cast as one piece, incorporating the grate, fireback (or backplate), an inner frame and a moveable plate in the flue section in order to adjust the draught. For any fire to work well, it must be connected to a chimney in good condition and a correctly sized flue. The chimney should safely remove the products of combustion from the fireplace to outside. For it to work properly, the flue gasses must be kept warm (in order to rise), so thought must be given to lining the flue too. Prior to the introduction of the Building Regulations in 1965, which state that all flues must be built with liners, flues were usually rendered on the inside with lime mortar. This render will commonly have deteriorated over the years, so if you home was built before 1965 you will need to get it checked (contact the National Association of Chimney Sweeps: 01785 811732). If you are fitting a new fireplace to an existing chimney, the size of the fireplace must suit the chimney. A common mistake is to make the opening too big, resulting in a poor draw and a smokey fire. The opening should be no more than eight times the area of the flue for square or rectangular chimneys. For round metal chimney liners, the opening should be no more than ten times the area of the liner. Mantlepieces are most commonly fixed directly to the brickwork, before being plastered in. If you are renovating as opposed to self-building, you will also need to refit any skirting boards around your new surround. A drying-out period is required after a surround has been fixed, so that the fireproofing and sealing materials used have time to dry properly — experts recommend leaving it five to seven days in a heated house before a fire is lit. If your surround or hearth is made from stone, you may notice patches of damp or some discolouration to begin with, although these should dry out and disappear within a couple of weeks. All open fires, whether you intend on burning solid fuel or gas, need a hearth — unless the manufacturer’s instructions state otherwise. A hearth should extend forwards from the fireplace opening by 300mm and 150mm on either side. These measurements should be taken from either the front of the fireplace opening or, where the fire is recessed into the opening, from the front of the burner. 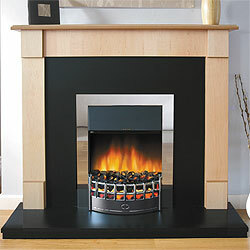 In the case of stoves, a hearth should extend 500mm in front of one that is recessed into a fireplace. With freestanding stoves, the hearth must not be less than 840mm² and the stove must not be positioned closer that 150mm to any of its edges. If your stove has doors that open, the hearth must extend at least 300mm from the front of the stove and in cases where the doors cannot be opened, 225mm from the front. Hearths for both fireplaces and stoves must be at least 50mm deep and made from a noncombustible material. 1. 1920s and 1930s: Cast-iron went out of fashion and the fully tiled fireplace came in. Brown, yellow and beige tiles were top of most people’s wishlist. 2. Edwardian: Cast-iron register grates were common, but Art Nouveau designs came into fashion, seen on tiled cheeks and as motifs on the surround. Simple, classical designs were also popular. Marble and slate, enamelled to look like marble, were also favourites. Glazed bricks were also often used, as were ornate oak surrounds with mirrors and shelves. 3. Victorian: Hob grates were popular, but from 1850 the cast-iron register grate appeared, firstly with a round top, and later with a straight top — cast in one piece. Corbels were often used to support the mantel and from 1880 the smoke hood was introduced. The inglenook became more of an alcove. Tiled cheeks were popular between 1880 and 1900. 4. Present Day: Fireplaces are once again seen as desirable features in a home, be it a restored original or a way of creating a striking focal point. In recent years, the hole-in-the wall fireplace has become incredibly popular, as have central and double-sided fireplaces. 5. Georgian: Commonly fireplaces were open – the first inglenooks made an appearance – with either a firebasket or hob grate made from brick or iron. Inglenooks were far larger than in the Victorian period, with space for chairs either side of the fire. Surrounds were made from brick or stone. Later on, and in grander houses, marble, slate or wood were used. 6. 1950s and 1960s: The fully tiled look was in, with grand arches and curves being particularly fashionable. Brick-effect tiles and solid concrete fireplaces were also popular. Sandy, straw and burgundy tiles were widely seen. Materials: Wood, Stone, Metal or Nothing at All? Wood: Wooden surrounds, particularly those made from pine, are ideal for country-style properties. More elaborate designs are also available in mahogany and oak. Contemporary models in richer dark woods are now coming into fashion. Hole-in-the-Wall: Despite being popular with fans of contemporary design, hole-in-the-wall fireplaces are actually suited to many different types of fire, from gas to wood burning stoves. They create a focal point without being fussy. 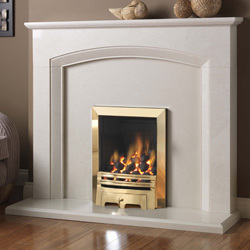 Stone: Although stone fireplaces are most commonly thought of as ideal for traditional homes, being prominent fixtures in houses during the Georgian and Victorian eras, they are now available in a host of contemporary styles too, lending themselves well to crisp, minimalist designs. Metal: Cast-iron fireplaces were hugely popular during the Victorian and Edwardian periods, but they are now also available highly polished to a sheen and in more contemporary designs. 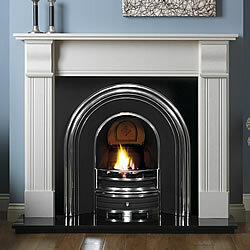 One of the newest trends is also for stainless-steel fire surrounds, in either a polished or brushed finish. If you want to fit a fireplace into a house with no chimney, there are several options. Either you could fit the fire to an outside wall and vent the fireplace directly outside, or you could choose a vent-free or flueless fireplace. Choices include flueless gas and electric fires, as well as those that burn bio ethanol, an eco-friendly fuel that emits no harmful gases. Although a useful way for those with no chimney to have a fire, some vent-free fires have been subject to safety warnings. According to the American Gas Association, most of these fireplaces can only be used for a maximum of four hours at a time and cannot be used in small spaces. It is also discouraged for anyone who has respiratory problems, a heart condition, is pregnant, anaemic or diabetic to use them. They can also produce excess moisture and sometimes emit a noticeable smell. However, manufacturers are quick to point out that in most cases any associated problems have been caused by bad-fitting or poor-quality appliances. You intend to have an open fire: You will need a hearth, unless the manufacturer’s instructions state otherwise. 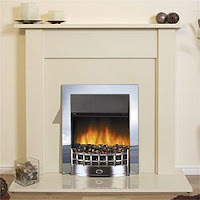 All open fires, be they solid fuel or gas, require a hearth projecting in front of the appliance. 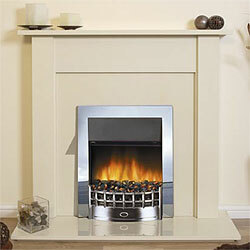 You intend to have a gas fire: Only a Gas Safe Register engineer should install a gas fire. You intend to burn coal or smokeless coal: You will need a firebasket with a bottom grate as these fuels produce much more ash than wood fuel and the grate will allow ash to fall away. Coal also needs air underneath the fire in order to burn, and a grate makes this possible. You intend to burn wood: You must have your chimney swept twice a year. Don’t burn treated or seasoned wood as they may emit harmful chemicals. You want an inglenook: In recent years, stringent requirements for energy-efficiency levels have made it difficult for any sort of open fire – let alone an inglenook – to meet Building Regulations. Using an enclosed stove within an inglenook is one solution, making it easier to achieve the required SAP rating. If you want an inglenook with a large chimney opening, you will have to compensate for the heat loss you’ll incur in other areas of your build, such as using high insulation levels or installing solar water heating. The other option is to install a small flue at the rear of the inglenook to restrict air intake without compromising on appearance. 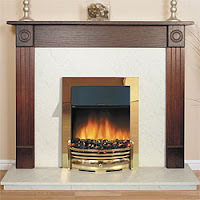 MANTEL: Also known as the ‘chimneypiece’, the mantel makes up the shelf above the fireplace and is often part of the surround. FIRE HOOD: Projecting out over the fireplace this confines smoke to the flue. GRATE: A metal frame for holding the fuel. CHEEK: The angled sections to either side of the fire, often tiled. 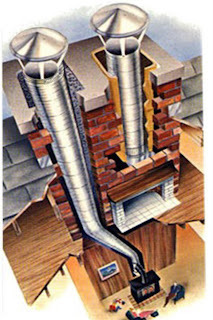 FLUE: Vertical opening through chimney, designed to create draft and extract smoke. It is becoming a common wish these days to covert an existing gas fire into a woodburning stove, and there are several reasons for this. Perhaps one of the biggest reasons is the cuts that can be made on your fuel bills. Whilst gas prices are rising, wood is comparatively cheap. 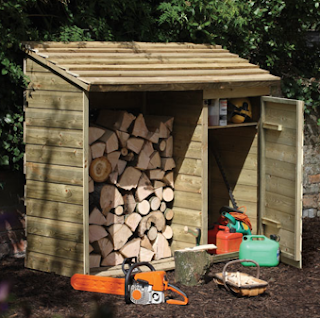 According to Forest Fuels’ fuel comparison table (forestfuels.co.uk), based on the net calorific value of the fuel, and assuming a standard-size tipped delivery of 25-30 cubic metres of woodchip, hardwood firewood comes in at £0.035/kWh, woodchip at £0.03/kWh, loose wood pellets at £0.047/kWh, bagged wood pellets at £0.055/kWh — compared to mains gas at £0.061/kWh. Then there are the benefits that swapping gas for wood as a heat source can offer the environment. Burning wood or wood pellets offers a good, sustainable source of energy compared with gas, which, as we are regularly being told is not going to last forever, or even the foreseeable future. You will need to call in the services of a Gas Safe Register engineer to disconnect the gas and to cap off the connection. They should present you with a receipt and form to give to your household insurance provider. 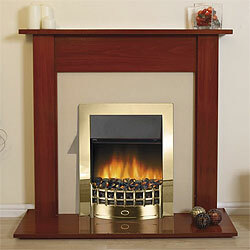 The work and cost involved in the removal of the fireplace will depend on the type of fireplace you are working with. It may simply be a case of using the opening you already have. However, if you are removing a cast iron, stone or concrete fireplace you might find yourself faced with years’ worth of rubble and debris that will need to be disposed of before the new opening is constructed — and this could cost hundreds of pounds. Although it is recommended that a HETAS- registered installer is called in to fit your new stove and ensure your chimney is properly lined, there is nothing to say that a competent DIYer cannot have a go — although you will need to notify Building Control and pay the appropriate fee. Do think through your decision to install a stove yourself. “An unapproved installation could cause injury to person or property, may invalidate household insurance or the stove’s warranty, and homeowners could be liable to a fine,” warns David Knox of Stovax. Your chimney should always be swept before a new stove is installed. Open fires put around 80% of their heat up the chimney — however, with a stove, only 15% of the heat goes up the chimney as they work at a higher efficiency. Although this is a benefit, it means that the smoke going up the chimney is at a far cooler temperature than with an open fire. The cooler gases condense on the inside of the chimney forming tar deposits. Most chimneys used with gas fires are fitted with Class 2 flexible liners which are lightweight and single skin. For a woodburning stove, a Class 1 twin skin liner should be used. The existing liner is pulled out from the top of the chimney before the new one is dropped down. This leaves the liner hanging down into the chimney. It is then connected to a flexipipe adaptor which emerges from a hole in the register grate which you should have fitted. This in turn connects to the flue pipe that is inserted into the flue collar in the stove. HEAT OUTPUT: The stove you can choose will depend on two main things. The first is the heat output requirements of the room or area you wish to heat. 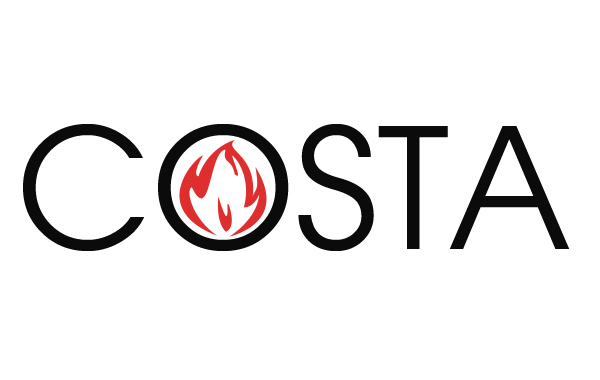 You can either call in the services of a specialist to visit your home and recommend the right stove for you, or use an online heat calculator such as that on Stoves Online’s website (stovesonline.co.uk). The heat output of woodburning stoves is measured in kW. A kW is around 3,400 BTUs and the kilowatt calculator on the above website – which is also packed full of other useful information on stoves in general – will allow you to enter the dimensions of your room and obtain a guide to what the heat output of your stove should be. “As a rough guide, you will need 1kW to comfortably heat every 14 cubic metres of space,” says Stovax’s David Knox. THE RIGHT SIZE: The next factor you will need to take into consideration is the size of stove you will be able to install. The size of your fireplace will, to a certain extent, dictate the stove you can choose and although there is nothing set out in the Building Regulations, it is recommended that there is a minimum distance of 150mm either side of the stove within the opening, and 300mm above. This allows for plenty of air to circulate around the stove and carry the heat around the room. If the stove you have your heart set on is a little on the large side for your opening, John Nightingale from Stoves Online suggests bringing it out slightly from the fireplace to allow more space surrounding it. If you do this, bear in mind that Building Regulations state that there must be a minimum of 300mm of non-combustible material in front of the stove to act as a hearth. David Knox advises that it is always best to have a site visit from a retailer before choosing a stove. “They will be able to cover factors such as Building Regulations and flueing systems, but they will also appreciate local idiosyncrasies like prevailing winds, insulation, double glazing and how the chimneys in the area were constructed,” says David. When it comes to wood burning stoves, many people have plenty of questions about how they work and what features they have. Air Wash is a classic example of this – a feature that you may not have heard of before. So what is Air Wash? All modern wood burning stoves have glass fronts so you can see the flames and the logs burning inside. After a while the glass inside can get dirty, meaning it’s time to get the rubber gloves out for a cleaning session. This is where Air Wash comes in. If you prefer to leave it as long as possible in between cleaning sessions, you’ll love Air Wash. One or more vents are positioned to pull cooler air flow over the interior of the glass. This means the glass takes longer to become dirty, and that gives you more time to enjoy your fire and longer in between cleaning sessions! Is this a common feature in contemporary wood burning stoves? Oh yes, it’s more common than you might think. 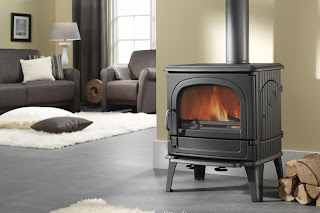 You’ll find it on a range of Amesti wood burning stoves, the Nordic 450, and Nordic 360. 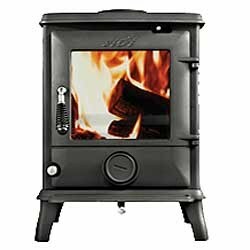 The Firebelly Stoves manufacturer a range of wood burning stoves and have the Air Wash feature built in: theFB1 and the FB2 are the just a couple names to look for. Alternatively if you want one of the Aga stoves you could consider the Ludlow stove. The Broseley eVolution will also provide you with the Air Wash feature to keep that glass clean for much longer. So Air Wash makes for a better stove? It certainly does. The whole point of having a glass fronted stove is so you can see the flames flickering over the fuel inside. Air Wash means you get the best possible outlook and view of your stove and the flames it generates, so you can enjoy it on a daily basis for a long while before you ever need to think about cleaning the glass. And since few of us love cleaning, that has to be a good thing! Earlier this year the Victoria & Albert museum held an exhibition entitled British Design 1948-2012: Innovation in the Modern Age celebrating the best of British post-war design. The marketing blurb for the exhibition stated; "Britain has long been a pioneer of new ideas, particularly in the areas of industrial design and technology. Innovation has characterised British design. British designers have stood at the forefront of change. In so doing, they have created some of the most iconic objects, technologies and buildings of the last 60 years." And it's difficult to argue with those sentiments. At AGA stoves, they believe that when you combine tradition and heritage with great design and engineering you truly create innovation. You only have to consider some of the great design icons - the Mini, the Dyson, and the internet. All of them created by British designers and all of them, in their own way, transforming peoples lives.So how does this creativity manifest itself in the world of cast iron stoves? You might think that the world of cast iron stoves doesn't change very much. After all, why change something that has worked brilliantly for generations? The simple answer is necessity, the mother of invention. It's not just fashion that influences design and it is often these influences which dictate the biggest changes. 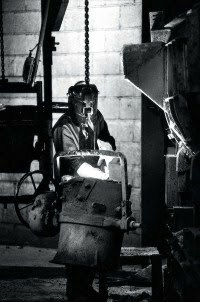 For example, there has been legislation which has had a massive effect on the design of cast iron stoves - The clean air act and Building Regulations to name a few. AGA believe that by designing stoves that meet legislation, we are actually fostering innovation. By combining sustainability and practicality with form and function (as well as quintessential Britishness) you, more than often than not, end up with a design icon. AGA Stoves are not only designed to be robust, efficient and durable, they're also designed to last many years and defy the changing whims of fashion. However, it is no good having products that look stunning, but do not function as well as intended. That's why AGA design and build their stoves from the ground up and test them vigorously. Technical Director David Carpenter explains "There are so many companies out there offering cheap and cheerful stoves and it's quite scary how some people will go on price alone when they choose one. But do home-owner's know what they're having installed? It might look like a nice product, yet the quality just isn't there. Poorly designed and badly manufactured - with no efficiency rating and very little attention paid to compliance and testing"
When fitting a flue system, building regulations specify clearances to combustible materials depending on the type of flue pipe. These clearances must be met to ensure legality and safety. Single wall flue pipe (also referred to as vitreous enamel flue pipe) must be a minimum of three times the diameter of the pipe away from a combustible material. Twin wall flue pipe's clearance to combustibles is based on manufacturer guidelines and so can differ between ranges. One factor is the thickness of the insulation, which reduces the external temperature. Our range of Bofill twin wall flue has 30mm thick insulation and has a 50mm clearance to combustibles. If the twin wall flue system is to run internally through the property and runs through spaces where accidental human contact could occur (e.g. a bedroom - not including the room where the appliance is located), the flue must be boxed in. If the flue passes through a storage space such as a cupboard or loft space, a guard must be placed no closer than 50mm around the flue pipe. Combustible materials, such as a wall or ceiling, can be heat shielded using a fireproof board. However there must be a 12mm air gap between the heat shield and combustible material. The flue pipe must be at least 1.5 times its diameter away from the heat shield. 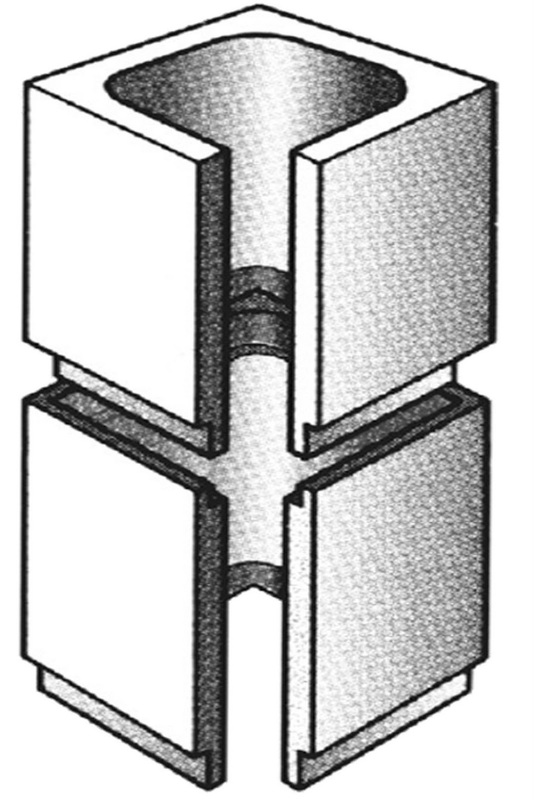 The heat shield must extend at least 1.5 times the diameter of the flue pipe beyond each side of the flue pipe. However always remember that fitting should only be carried out by a HETAS registered installer. It might seem somewhat strange to even contemplate, but did you know that much of the kiln dried logs sold in the UK actually come from Eastern Europe from countries such as Latvia and Lithuania. How can I tell if logs are imported? 1. Firstly you should ask your potential supplier where the wood comes from, but if this is not possible, then there are a few ways to tell. 2. All imported wood for bulk is supplied in wooden pallet cages and stacked neatly, either in 1m3 or 2m3 pallets. 3. If supplied in small retail nets, European wood will normally be a volume declaration in ‘litres’, the common measurement in Europe. Also the nets will be plain, often orange or yellow. 4. If the wood is 100% Silver Birch or Alder, it is invariably going to be from Europe. Why should I buy British? 1. Firewood produced in the UK travels very little distance in comparison to that sourced from Eastern Europe. Bear in mind it is 1,700 miles to Latvia! 2. CO2 emissions will be very high in transporting wood these distances. Being such a bulky product it is also very costly to transport. 3. All management of British woodland is controlled by the Forestry Commission in that you need a felling licence by law to cut down trees in woodland. This avoids illegal logging and clear felling. 4. Eastern European countries are less well regulated and it is said that quite a lot of timber felled in Russia finds its way across the borders into Eastern Europe. The source therefore is less secure. 5. Buying British firewood supports the local economy, jobs and businesses. 6. It means that woodland can be properly thinned and managed providing a market for smaller trees that are removed to provide more light and space for the other trees to grow. 7. Better managed woodland means improved environment for flora and fauna. 8. Most importantly we MUST utilise our beautiful woodlands and the fuel they produce. Proper management and utilisation and a sustainable UK forestry industry will lead to more woodland creation. What should I look for to ensure high quality British firewood? Whilst there are only very few suppliers registered under this scheme, it is highly recommended to use suppliers that carry the HETAS Quality Assured Fuel logo as this will ensure you get a consistently high quality fuel. Providing these details ensure you know where the wood comes from and its quality. 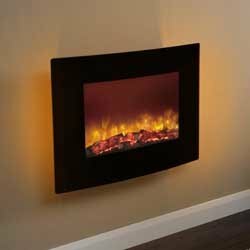 During the summer months most people aren't thinking about their fireplace but when the summer moves into autumn and on into winter then the season for buying a new fire or fireplace begins, the next question after you've decided on what you want to replace the old fire is How Do I Remove My Old Fire? Most people would think, Do It yourself, How hard can it be? Just pull the fire out of the surround and disconnect and cap the gas pipe. It becomes even more of a rush to get a new Gas fire in the run up to Christmas, with most fitters fully booked with long waiting lists. This approach is highly illegal and could jeopardise the safety and lives of you and the other people in and around the house or cause problems when trying to sell the property. The only safe way to remove your old gas fire is to have a gas engineer that is on the Gas Safe Register. They are the only official list of gas engineers legally able to perform gas work on boilers, hobs, ovens, fires and all other gas appliances. Anyone carrying out gas work must have a Gas Safe Register ID card. If not, they are breaking the law and putting you and your family at risk. Gas safety is one of the most important factors in having a safe home and work place. The dangers that surround unsafe gas appliances are deadly serious. Poorly maintained, faulty or badly installed gas work leads to carbon monoxide poisoning, the effects of which can be fatal. It’s not always easy to spot an illegal gas fitter for a fully qualified Gas Safe registered engineer. Always ask to see your gas engineer’s Gas Safe Register ID card to make sure they are safe and legal. The Gas Safe register is here to make sure you don’t fall into the trap of paying for illegal gas work with your health, and possibly your life. How Do I Find A Gas Safe Registered Engineer? Finding an engineer that is registered on the Gas Safe Register couldn't be easier, simply by visiting the Gas Safe Register website and typing in your postcode, this will display the nearest registered fitters and businesses to you and their contact details. Or find a business by using the telephone finding service on 0800 408 5500. Released and extremely popular within the fire industry is the Devotion Electric Fire produced by Orial. Orial have become a well established recognizable name amongst the fireplace industry within Great Britain, so when they embark on designing and creating a new electric fire they produce one of the highest quality electric fires available, and have done so once again with the new Devotion. This swanky new electric fire, the Devotion, instantly impresses with eye catching design, the curved black mirrored glass effect frame shouts contemporary chic, and brand new stylish log effect with LED lighting feature and side lighting delivers maximum effect with minimum energy use. This hang on the wall electric fire is easily wall mounted onto a flat wall and no traditional chimney or flue are necessary with this fire and the Devotion requires no additional ventilation into the room, which when you consider the Devotion is designed for smaller rooms, is exceptional. The Orial Devotion has the option to be set on a high heat setting with 2kW heat output, a low heat setting with 1kW heat output and a flame effect only setting. The LED lighting effects and heat settings can all easily be adjusted with the remote control that comes as standard, all for an extremely reasonable price. This Orial Devotion electric fire has been designed and will surely be marketed for the rooms of smaller proportions or possibly for a stylish room less used to sporting a fire, like a study or bedroom. With simple installation and easily operated, and an abundant supply of style, the Devotion electric fire is one to definitely look out for. Dru fires extend their existing range of Global fires and re-release the much loved Dru Global 100 Fire. 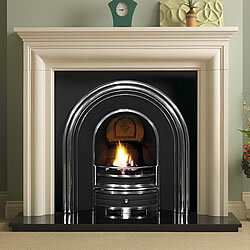 The design of the new Global fires, like all Dru's, is to a very high standard. The Global 60XT Balanced flue, Global 60 Corner M and Global 60 Triple M all excel as balanced flue (BF) fires, and share the same fireback and realistic fuel bed effect options. The main difference between these Global 60 fires are the external appearance. 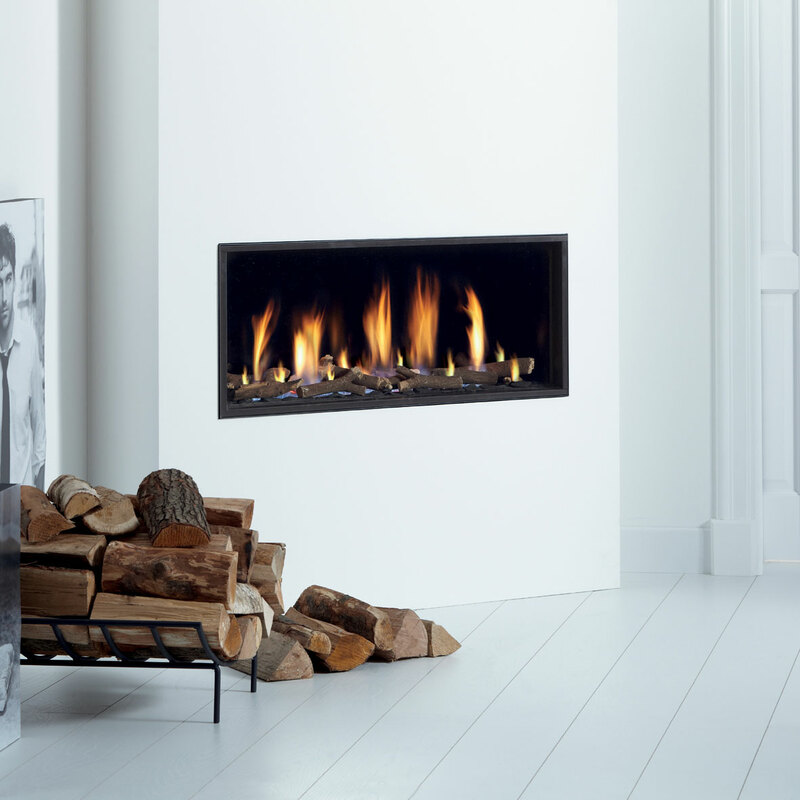 The Global 60 XT has a single large window and lends itself ideally to more traditional settings and is suitable for traditional insetting into a fireplace. 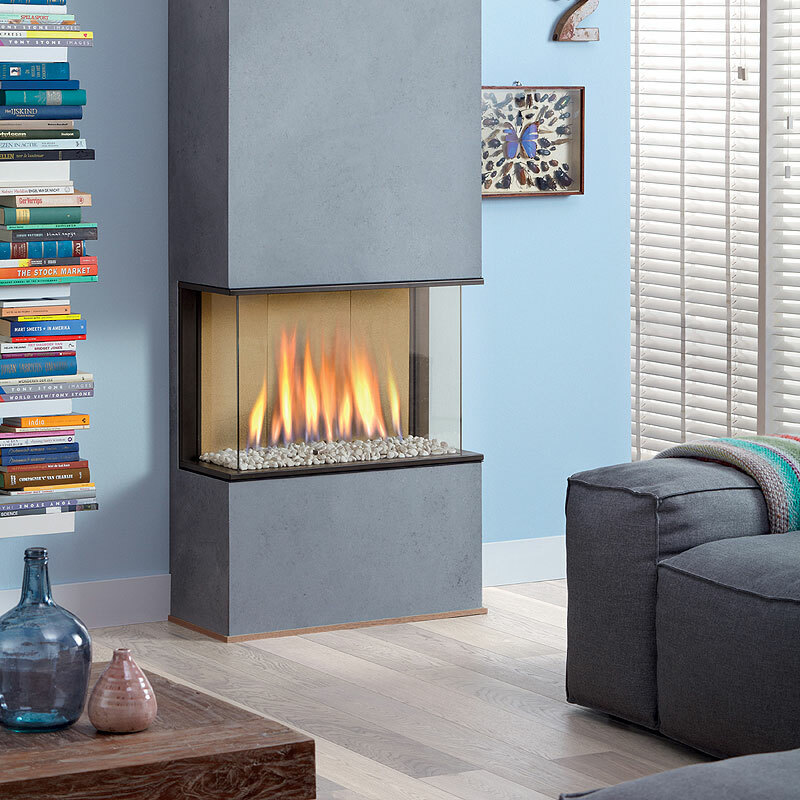 The Global 60 Corner M suits a corner positioning, this is often the case in many homes so depending on the side you wish the window to appear on you could make a feature of your fireplace, or create a prefabricated fireplace. (Remember as a balanced flue, a closed system, vents it's fumes directly through an external wall, so there is no need for a traditional chimney). The Global 60 Triple M has three sides from which the fire can be viewed. This is quite the show stopper and will impress all that gaze upon it's beauty. But the question must be asked as to how many people will actually be able to accommodate such a design without a little building work taking place. Still well worth the extra disruption for many years of enjoyment! Drugasar continue to push the boundaries of design and innovative fire features, and it shows the high quality and integrity of the company that they also review their successful fire designs and improve them along the way. Such an example of this is the new Global 100XT BF fire. The 100 XT has now been improved and look as amazing and desirable as ever. We understand that a conventional flue (chimney) version of this fire will be available soon and we will let you know as soon as it is available. If you like these Dru Fires and would like to purchase one please ensure that the company you buy from is a DRU Dealer to ensure excellent customer service and product support. 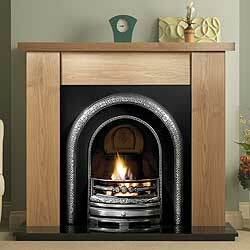 Keep checking back for further information about Dru Fires here on Fires, fireplaces, stoves. Do Convector Gas Fires Dry The Air Out?